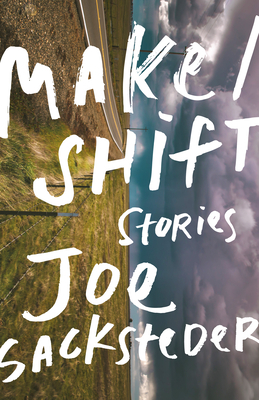 Readers of Make/Shift will find themselves confronting moments in which status and ceremony are shown to be destabilized, contingent--sorting through the suddenly unfamiliar contents of a time capsule, hanging poolside with parents while their hockey player sons devastate a hotel, and wandering the memory palace of a traumatized valedictorian during a commencement address--all while flash vignettes based on corporate slogans saturate the story collection with greater and greater frequency, like the commercials of a TV movie. Joe Sacksteder is a PhD candidate in Creative Writing and Literature at the University of Utah. Fugitive Traces, his album of Werner Herzog audio collages, will be available from Punctum Books. His writing has appeared in Denver Quarterly, Florida Review, The Literary Review, Passages North, Hobart, The Rumpus, and elsewhere. He is currently a visiting instructor at Interlochen Arts Academy in Michigan.